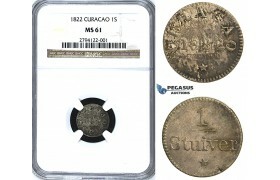 D18, Curacao, 1 Stuiver 1822, Silver, NGC AU50 ..
S66, Curacao, 1 Reaal 1821 (4 Acorns) Silver, High Grade, Dark toning, Few Marks! 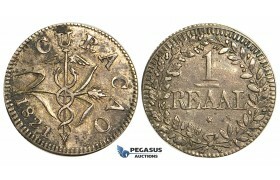 S66, Curacao, 1 Reaal 1821 (4 Acorns) Silver, High Grade, Dark toning, Few Marks! 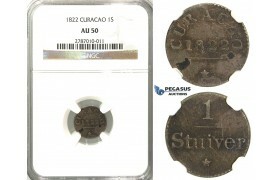 ..
U31, Curacao, 1 Stuiver 1822, Silver, NGC MS61 ..